Benham and Reeves provide a professional lettings service to tenants. If you are looking to rent a property in London, our well trained lettings staff will do their best to make everything as hassle-free as possible, from helping you find the ideal apartment or house in the right location to organising all the legal documents and get you moving into your new home as quickly as possible. And of course, you'll be reassured to know that you're in safe hands – we are founder members of, ARLA Propertymark (the Association of Residential Letting Agents) , The Property Ombudsman and the Tenancy Deposit Scheme. We will show you the best and widest selection of rental properties across London's best residential locations, many of which are exclusively managed by us. You can register with us by simply calling any of our lettings branches or alternatively, register for email alerts of new properties as soon as they become available. Our website, www.benhams.com is exceptionally straightforward, with detailed property information and an easy-to-use search function. If you'd like to visit a property, just call us and one of our experienced team will accompany you to the property at a time that is convenient to you. Once you have decided on a property that you'd like to rent, we will then put forward a proposal with the full details of your offer to the landlord. When the rent and terms and conditions have been agreed, you will be asked to pay a deposit to hold the property (which for ease can be made by credit card), we will then apply for your references and prepare a tenancy agreement. Once an offer has been agreed, we will ask you to pay a holding deposit of two weeks' rent. Once the tenancy starts, that money will be put towards the initial payment. Under UK Money Laundering Legislation, we have a legal duty to confirm the identity of all parties. We will ask you to provide a copy of your passport or driving licence (with photograph) and a copy of a recent utility bill. If you are unable to provide one of these, please contact us for a list of alternative forms of identification. Before you are offered a tenancy, we will obtain credit, employer and bank references for all tenants through a professional reference agency. 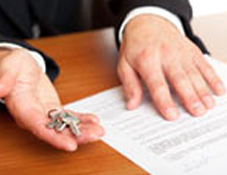 Period of tenancy: the rental contract is usually between one and five years. Types of tenancy: the Tenancy Agreement will cover all the terms negotiated and agreed through Benham and Reeves Lettings on behalf of you and the landlord. This includes the legal responsibilities of each party. Once drawn up, the contract is then signed by each party and exchanged. Assured Shorthold Tenancy (AST): most tenancies are ASTs, where the rent is under £100,000 a year and/or the tenant is an individual and not a company. Contractual Tenancy: if the rent exceeds £100,000 a year or if the tenant is a company, a contractual tenancy will be used. Rent is usually payable monthly or quarterly, in advance. Note one month is not simply 4 weeks, but is 52 weeks divided by 12 months. So £100 per week would be £433.33 per month. After the first payment, you MUST make all future payments by Standing Order. You will need to complete a Standing Order Mandate before moving in. Generally, the money will leave your bank account three days before the rental due date so that it reaches ours or the landlord's account on the due date. In addition to the first period’s rent, you must provide a deposit equivalent to six weeks' rental. This is held by us until the end of the tenancy against dilapidations. It cannot be offset against the last month's rent. The deposit is held by us in a designated client deposit account and will be returned to you at the end of the tenancy, subject to the terms of your tenancy agreement and the inventory check-out report. For your complete peace of mind, and in line with current legislation, we register all deposits on Assured Shorthold Tenancies, immediately after the tenancy starts, under the Government guidelines and regulations of The Dispute Service (TDS). We are one of central London’s oldest independently owned estate agents with over 60 years’ experience in residential lettings and sales. We also have a strong international network, with offices in China, Hong Kong, India, Malaysia and Singapore. 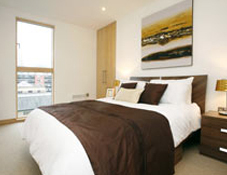 We also offer short lets and serviced apartments for for stays of one week or more. We find homes for executives from many FTSE and Fortune 500 companies. When you leave one of our properties, a check-out is carried out and once the keys have been returned, the property has been completely cleaned and we have received instructions from the landlord, we will arrange for the money to be credited to your bank account, minus any agreed deductions. This usually takes around 10 working days but no more than 28 days. A full inventory will be prepared just before you move into the property which records the condition of the property and all the contents. A copy is supplied to both you and the landlord. When you receive the inventory, it is important to check the document fully. This prevents disputes at the end of the tenancy. The landlord pays for the cost of the inventory. Just before the keys are handed over, an independent inventory clerk will check you into the property, going through the inventory in detail checking everything is correctly recorded and hand over the keys. This is paid by the Landlord. At the end of the tenancy, a check-out report is prepared by an independent inventory clerk to note any changes from the start – this allows deductions to be assessed if any. The check - out cost is paid by you and depends on the size of the property and the number of bedrooms. You will be handed two sets of keys at the start of the tenancy. If we are managing the property, we will hold one set in our secure key system in case of emergencies. You are responsible for paying all utility charges and telephone bills. You must transfer all gas, electricity, water and telephone accounts into your name at the start of the tenancy and provide meter readings to the relevant companies. At the end of the tenancy, you must inform the relevant companies that you are leaving and provide meter readings. While we endeavour to advise all the Utility Companies, they require confirmation from you. Council tax is not included in your rent. You must contact the Local Authority at the start of the tenancy to inform them that you will be living in the property. We can supply you with a list of council tax charges for various London boroughs. If you are the sole occupier, a student or diplomat, you are entitled to a discount or in some cases free council tax. If you would like to discuss arranging a telephone connection with British Telecom, dial 150 from a BT landline or 0800 400 400 to speak to BT Customer Services. If you are calling from overseas, dial your own international operator who will connect you to the UK's international operator.. Ask for British Telecom Customer Services. If you rent a property that is also managed by us, you can rest assured that we have reliable contractors on hand 24/7 if there is a problem - our maintenance and repair service is just a phone call away. You will be supplied with relevant people just before you move in. If you follow our guide, you can rest assured that all you need to do now is sit back and enjoy your new home, confident that Benham and Reeves is on hand to provide advice and support throughout your tenancy. If you're happy with the service you've received from Benham and Reeves then why not recommend us to a friend? In return for recommending us to a friend or colleague who rents a property from us, we will reward you with vouchers as soon as your friend has moved in to one of our properties. Of course you need to advise us that you are referring somebody to us so we can ensure you receive your vouchers.